The Now vapor is a small, metal cased vaporizer that features a large heating chamber and 3 temperature settings. (370,410,450°F). It’s available in silver and in black. It vaporizes dry herb only and includes an 1800mA battery. The Now Vapor is a great looking little vaporizer, it is tiny and elegant. It is constructed of durable polished metal and has a gently arced oval shape with and LED display on the front beside it’s metal mouthpiece and the power charging port on the bottom along with another door to the bottom of the pass through heating chamber. The device is very small and fits conveniently in the hand. I ground .6 GRAM of marijuana and the Now Vapors enormous chamber held about a .5 gram of it. Because the opening of the chamber is very narrow, I did find it more difficult to load than some other wide chamber units I’ve used such as the Pax or DaVinci Ascent. I found the very nice metal packing tool very useful in pushing the marijuana into the long barrel shaped chamber. But I think packing the marijuana into the chamber results ins in the variegated color of the vaporized marijuana discussed later in this review. The device is powered on by five clicks of the single button on the side of the unit. The unit powers on first displaying the current battery charge then immediately begins heating to the default temperature setting of 410°F. You can cycle between the 3 temperatures by depressing the button on the side for 3 – 5 seconds. (The instructions say for 2 seconds but it is clearly about 5 seconds before it changes temperature.) The lowest temperature is reached in a pretty impressive 40 seconds and the vaporizer is ready to hit in less than a minute even on high heat. It delivers awesome taste and consistent large hits with a lot of resistance and flavor pulled through the long sealed enclosure. There is no plastic or unusual flavor from the device, the vapor itself is very mild, even on the highest setting. The unit stays pretty cool in the hand until about 4 cycles in a row when the metal will begin to get pretty warm but not enough to burn you. The battery dropped about 12% per entire high heat cycle until the 6th cycle when the indicator showed “Loo” meaning low battery and would not turn on. After about 5 minutes the vaporizer will power off, displaying the current battery charge, then blinking, then powering down. It takes only about 30 seconds to reheat but I do wish there was an 8 minute or so cut-off interval. 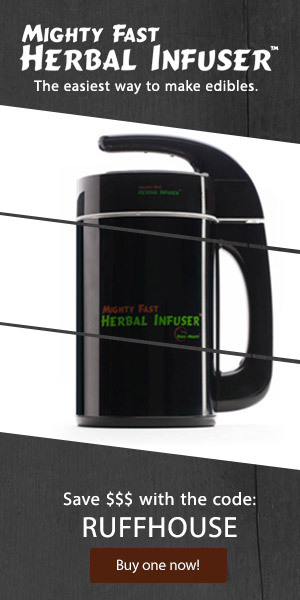 The vaporizer does not scorch the marijuana, even after 2 full heat cycles on the highest setting. But the does leave some variation of the color of the vaporized marijuana at the ends of the chamber. I think this is the biggest flaw of the device. The chamber is so long and narrow that the user must press the marijuana into the chamber. This causes portions of the marijuana to be more compressed than others, particularly the bottom and middle. So the heat does not vaporizer the compressed areas as well as the looser areas in the chambers. The device is designed to also allow one to put an entire filterless cigarette into the chamber, so one could put a rolled joint into the chamber I suppose. My advice to Novel E-Cigs is to consider providing some sort of small, narrow, funnel loading tube to allow a even density of packed herb in the chamber. This would put the performance of the device on par with the excellent performance and quality displayed in the Now Vapor. PRICE AND VALUE – 4 LEAVES: It’s basic and simple but it performs well and the price is right. DESIGN AND FEATURES – 4 LEAVES: It looks great, it’s small and stealth yet rugged and durable. All metal surface and led display all looks and functions simply and effectively. CLOUD AND TASTE – 5 LEAVES: A perfectly pure taste that was cool and mild throughout even 2 full high heat cycles. VAPED MARIJUANA QUALITY – 3 LEAVES: No scorching occurred but there was a lot of variation from brown to green in the chamber after being vaporized. The Now Vapor is a great looking but tiny vaporizer yet it’s huge chamber holds about a half gram of ground marijuana. It delivers awesome taste and consistent large hits but it does leave some variation of the color of the vaporized marijuana at the end of the chamber. Hello, really nice review, do you know where I could get one unit, thanks! Amazing this was extremely interesting. I can’t believe how critical they made things seem when in reality I don’t think we should even be looking at it that way.